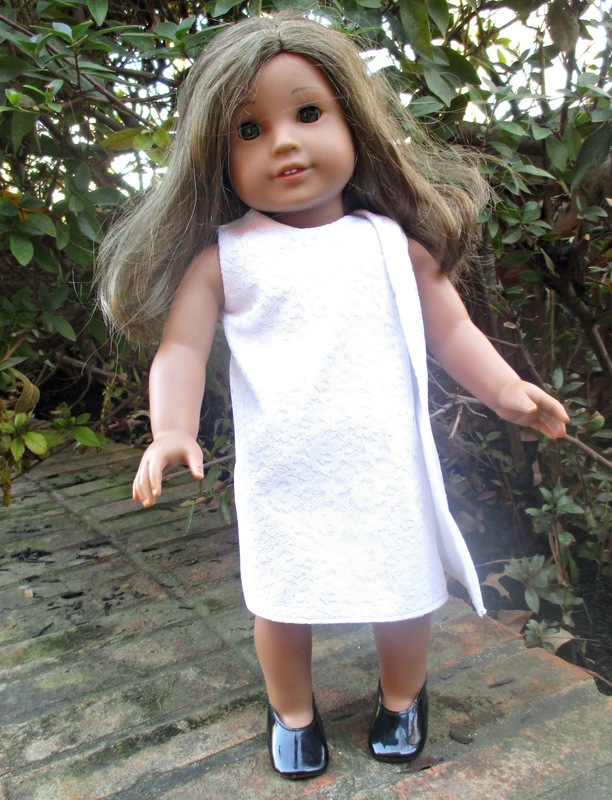 Thimbles and Acorns has a new historical pattern, the 1960s 1, 2, 3 Wrap Dress. This pattern is timely in more way than one. 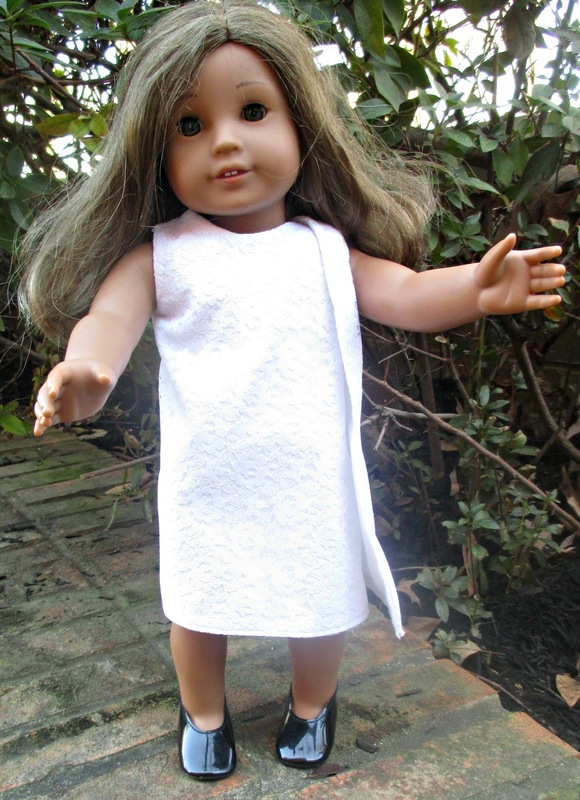 First, American Girl will be releasing 1960s historical Melody Ellison this summer. Secondly, Simplicity just released a pattern like this for adults, so it seems to be on trend for human fashions as well. I bought the Simplicity pattern for my sister, who is learning to sew and loves vintage clothes. When I showed the pattern to my best friend, I joked that she could have a wedding dress that is a wrap dress, and it would be a great conversation piece. She already had her wedding dress, but she said that she would have been interested otherwise. And then she asked me to make a wedding wrap dress for her doll Kit. Suuuure, no problem. She was joking, but you have to watch your doll clothes jokes around me. I knew Thimbles and Acorns was releasing this pattern, so I snapped it up when it became available. This pattern really is so easy to make. It only requires one pattern piece, and you cut one for the outside of the dress and one for the lining. There is no need for closures. 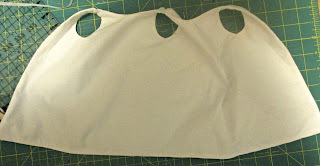 The dress has three armholes, and two of them overlap, so the overlapping part of the dress is the closure. This is the finished dress! Weird, isn't it? It reminds me of the Two-Headed Monster on Sesame Street, sort of. I used white-on-white quilting cotton, and I overlaid one side of the dress with a huge piece of lace. The dress really is glaringly white, which makes it hard to photograph, even on Kanani. I definitely want to make it again in color. My mom was a teenager in the 1960s. She says she wore A-line dresses, but no wrap dresses like this one. I expect these were worn in trendier places like NYC and not so much in smaller, rural towns. I think this is such an easy dress to make, and I look forward to experimenting in making it in colors. Yes, I need to try that. I can probably make it reversible, too! Here are some more pictures of Meg and Kirsten!